This luxury project located Mullanpur, leaving you to image life amidst rich greens, every corner of the acres land has been aesthetically done and where life is a celebration every day , every moment. Come and realise our passion. 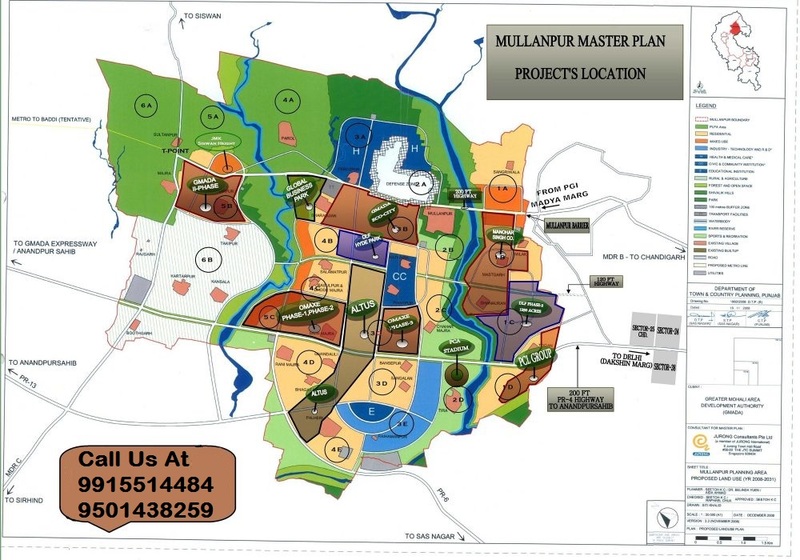 The integrated Township being planned at Mullanpur had to be a tribute to its rich history & culture and its people, those in India and the ones carrying the colours abroad. The entire Township is planned to offer high quality of living and an international Lifestyle to its residents. The Integrated Township shall be a landmark in township development and a trendsetter for all the future townships in the Country. The Township is going to come up not as a Real Estate development but as a Community Development and shall provide all the necessary components for a community to thrive, like. Plots Sizes 200, 250, 300, 350, 400, 500 Sq. Yd. suit all budgets and requirements. Please feel free to get in touch with me for best deal, should you have any queries.